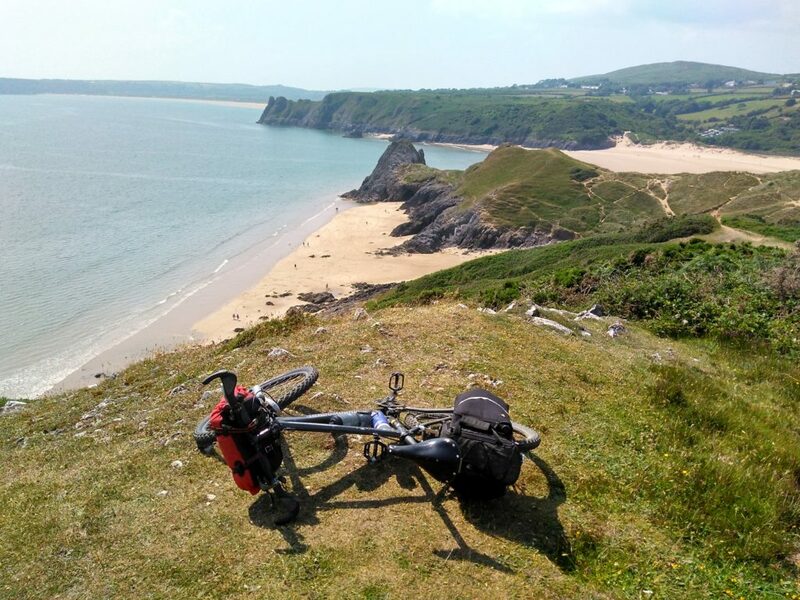 120 km bikepacking route around the Gower Peninsula in South Wales – a ride taking in a mixture of beaches, moorland tracks and ridges. About 50% off-road. The Gower packs a lot into its small area – great surfing, rock climbing, sailing and swimming. And it’s also a surprisingly good place for a short bikepacking trip. This route is based broadly on the Bikepacking.com route which has gpx downloads. There’s a link to this at the end of the blog. Access is easy, particularly by train, starting and finishing at Swansea station. 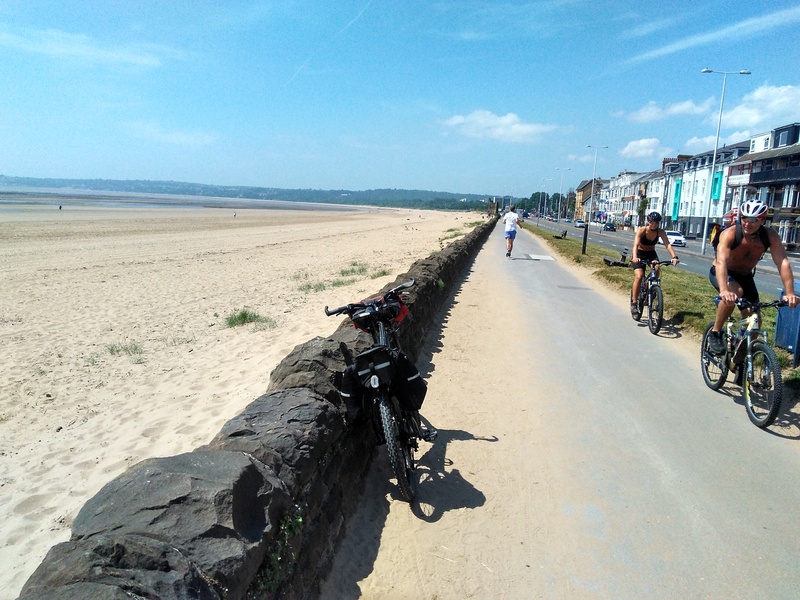 From the railway station you quickly pick up the cycle track that runs from the city centre along Swansea Bay to the Mumbles. 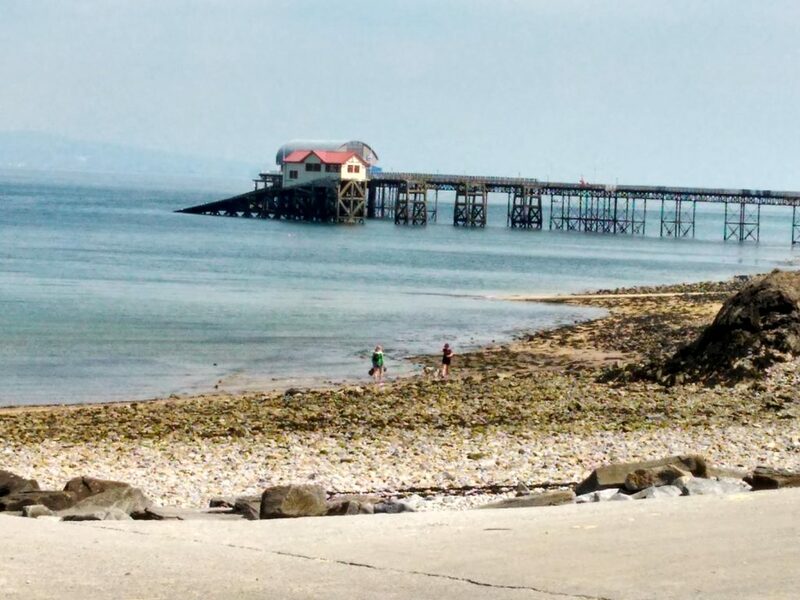 Although this route turns off before the Mumbles, it’s worth a detour to visit the Mumbles which has a classic, photogenic old lifeboat station plus cafes, shops and bars. The route proper starts at Black Pill. Turn onto the B4436 At the top of the hill turn right and follow signs to the golf course. After following bridleways across the golf course you follow roads for about 6 km to near Parkmill and then turn left across a small bridge and up a steep road which becomes a track leading to Southgate village. The section beyond the village follows the Wales Coast Path from West Cliff which at this point is a bridleway. 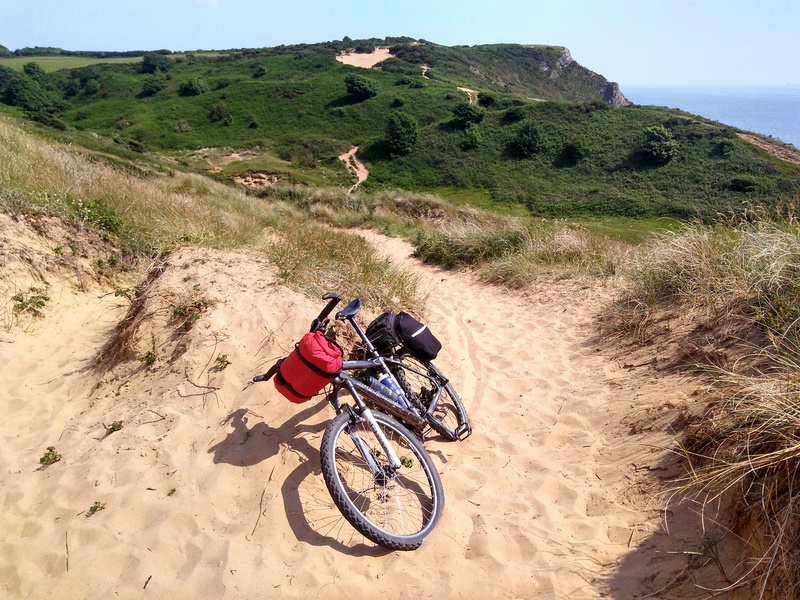 The route crosses the sand dunes above 3 Cliffs Bay with fantastic views to the beach and cliffs below. 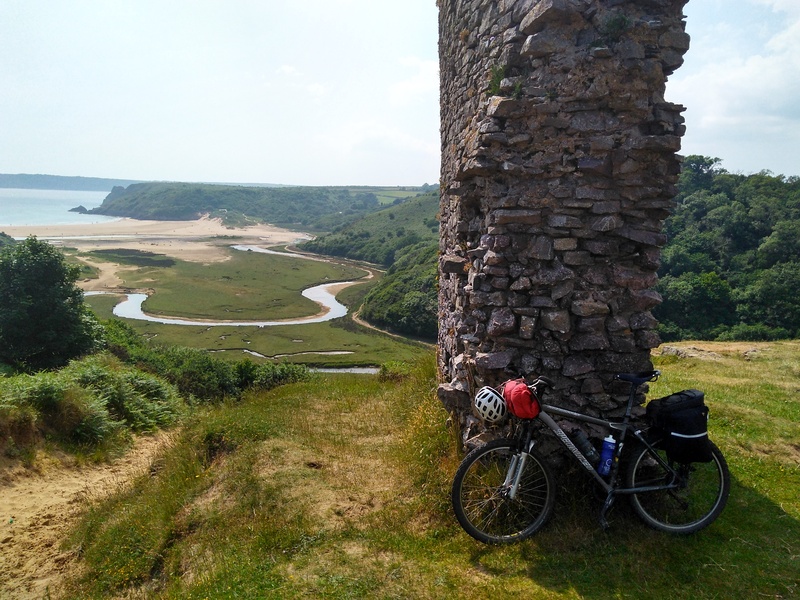 There’s a bit of pushing on this section ( 20- 30 minutes in total) before you reach Pennard Castle. 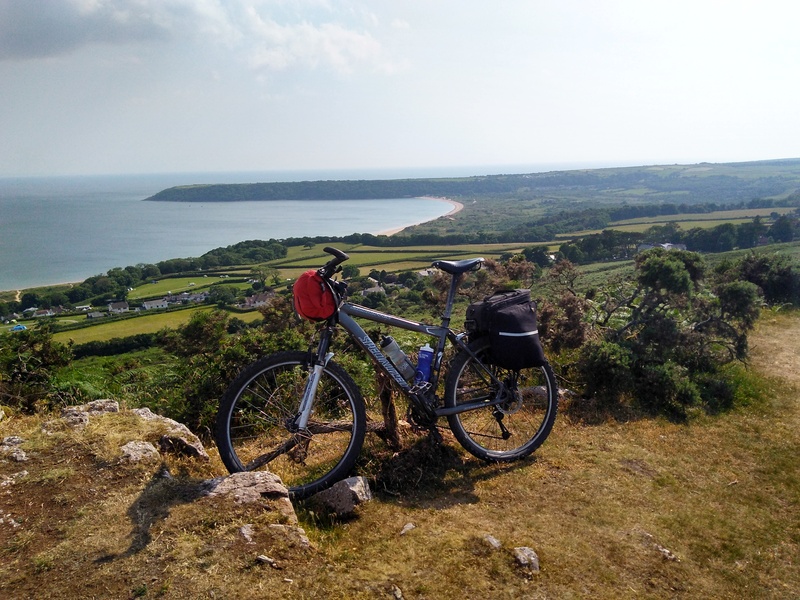 A short road section follows and then opposite 3 Cliffs Bay Campsite, first a lane and then a track takes you up on to the moorland ridge along Cefn Bryn with great views across the moor and heathland of inland Gower. From Reynoldstone initially take the road and then a series of tracks through farmland to Rhossili. If you’re not using GPS on this section then you’ll need to do some close map work and look out for the occasional Gower Way signs. 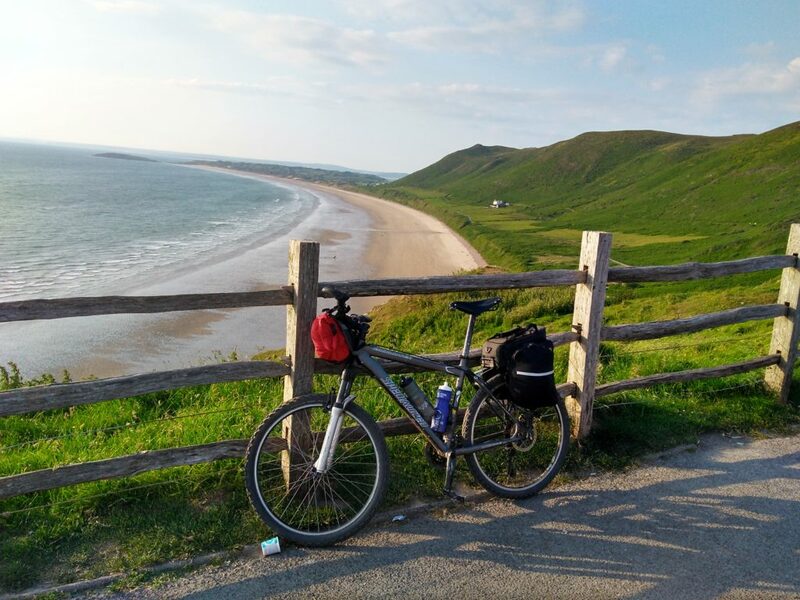 Rhossili has a beautiful 3 km long surf beach which is backed by a ridge that rises to about 200 m, with steepish sections to start and finish and good tracks all the way. 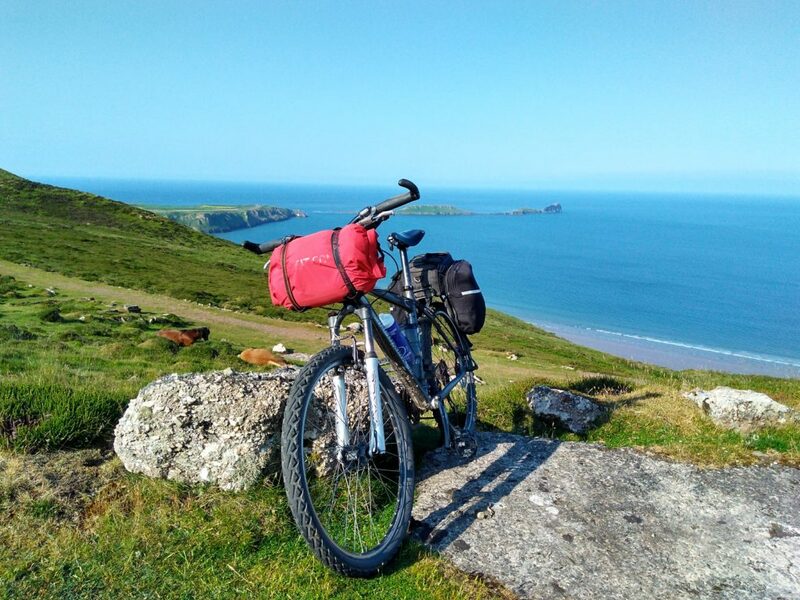 At this point you are now about halfway and there are a number of excellent bivi spots, including on the ridge above Rhossili – there are a few good flat rocky ledges about1 km beyond the trig point. 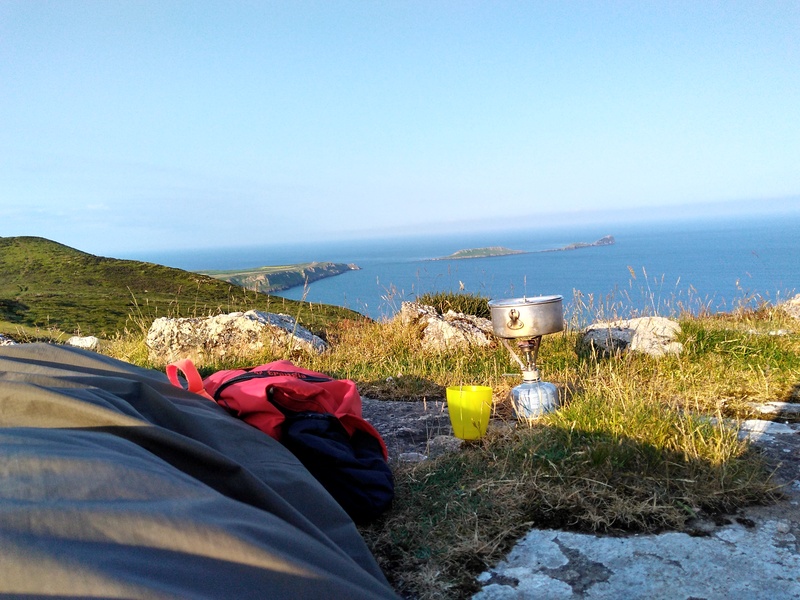 If you prefer to camp, there’s Hillend Campsite at the end of the ridge on the far end of Rhossili. If you’ve bivied and want a second breakfast, the cafe at Hillend is an excellent place to stop to re-fuel. From Hillend the route follows a mixture of lanes, hill tracks woodland and cyclepath back to Swansea. 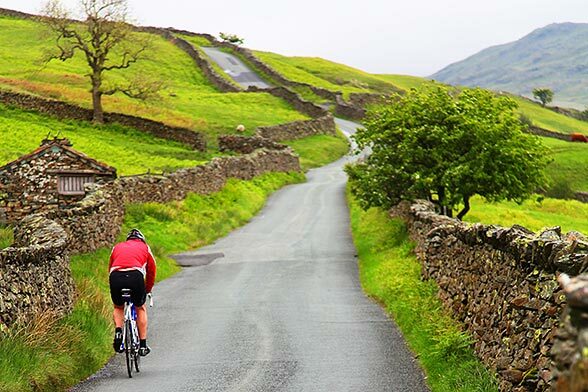 There are plenty of options – look at the Bikepacking.com route with the OS map and work out what suits you. 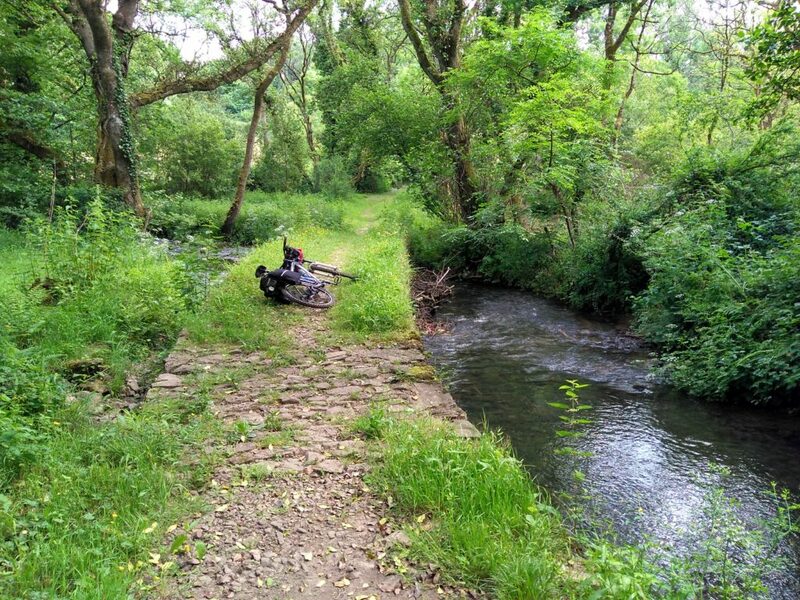 One of the options as you get closer to Swansea is to follow part of the cycle track (a disused railway) that runs from Gowerton to Black Pill. 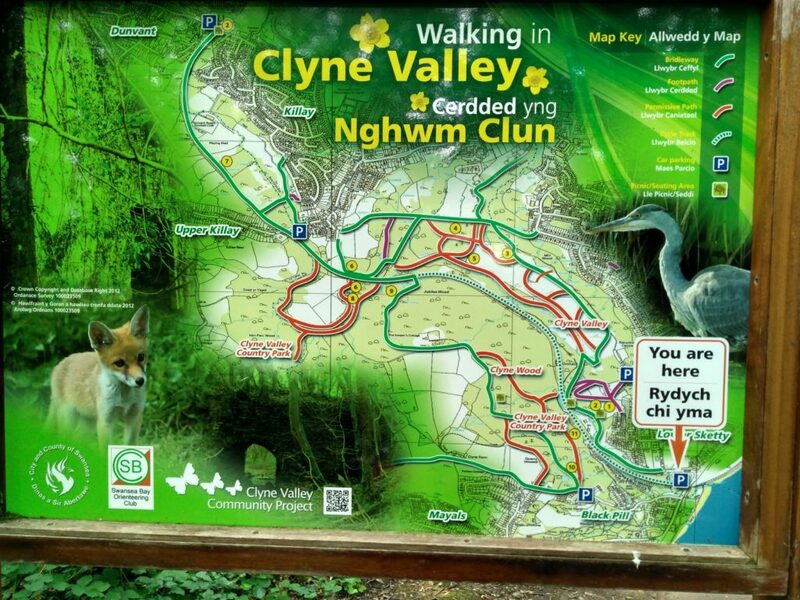 Or an alternative finish uses the MTB trails at Clyne Valley. Both options end at Black Pinn. From here pick up the cycle track along Swansea Bay that you used on the way out to get back to the train station. If you’re not using GPS the OS 1:25,000 map of the Gower (sheet 164) covers the whole of the route. 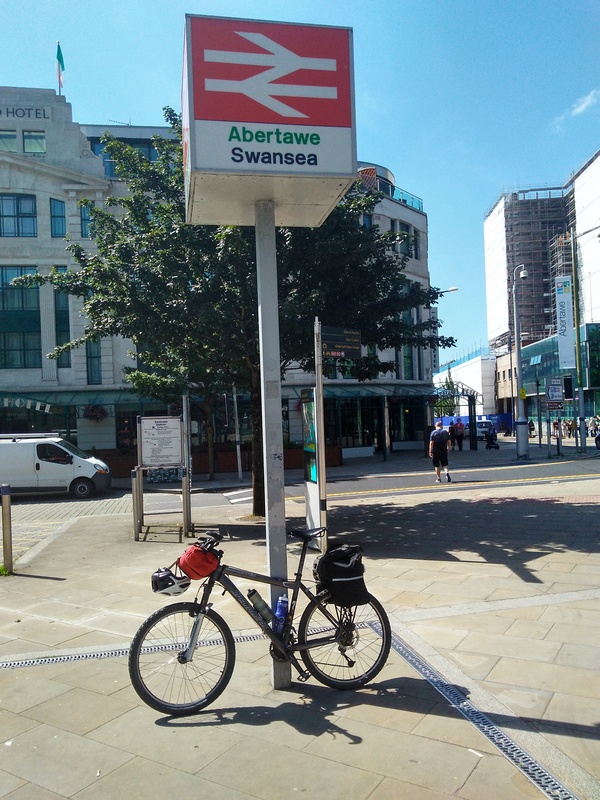 Swansea is easy to get to by train and by road. From the station, try and follow the signs for Sustrans route NCR 4 or 43. Is not always easy to pick up this route from the station so maybe download a Google map to help on this section.